The Dear Astronomer blog hosts the latest Carnival of Space. The new issue of The Space Review marks the tenth anniversary of this unique and excellent publication. TSR successfully fills an important niche not served by the mainstream aerospace press. It provides a venue for long article discussions of a wide range of technology, history and policy topics and particularly on topics related to the NewSpace industry and community, which really came of age during the past decade. Kudos to Jeff Foust for creating and maintaining this great resource. Jeff discusses the history of TSR: A ten-year experiment. Sam Dinkin ponders Elon Musk’s desire to go to Mars: Can Elon Musk retire on Mars in 2023? And Dwayne Day writes about the Lockheed-Martin Athena launch vehicle: Athena rising?. In the latest issue of The Space Review, Harley Thronson and Dan Lester of the Future In-Space Operations (FISO) study group write about the background and purpose of FISO: Future In-Space Operations (FISO): a working group and community engagement. I want to thank Harley and Dan for pointing to this blog in their article. I try my best to highlight the presentations given to the group (see the FISO Working Group Presentations Archive) . I find the topics discussed to be among the most interesting and important spaceflight concepts and projects of our day. Development of an in-space infrastructure is clearly key to practical and affordable utilization of space and to making humanity truly spacefaring. NASA launched today a new Landsat earth observation spacecraft, continuing the series of Landsat missions that go back to 1972: NASA launches $855 million Landsat mission – CBS News. 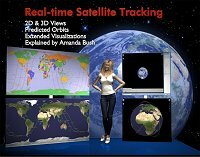 Check out this cool LandsatLook Viewer. You can compare images of a given location as seen by Landsats over the decades. Res Communis post the latest collection of space and aviation law, regulation and policy links: Library: A Round-up of Reading. Leonard David reports on a somewhat surprisingly optimistic view by the public of the probability of having people on Mars in 20 years time: Humans on Mars by 2033: New Poll Shows High Confidence – Coalition for Space Exploration. Update Feb.12.13: Stephen C. Smith questions the methodology and objectivity of the survey and the survey manager responds in the comments at Caveat Emptor – Space KSC. William (Bill) Rowe was interviewed on the Space Show yesterday about Apollo astronauts cardiac & medical issues: Dr. William (Bill) Rowe, Sunday, 2-10-13 – Thespaceshow’s Blog. Vote for names for the moons of Pluto at Pluto Rocks! If you don’t like the choices given, you can suggest better names at Write-In Ballot – Pluto Rocks! The contest deadline is February 25th. More about the contest at Help scientists name Pluto’s moons – Cosmic Log. 1. Monday, Feb. 11, 2013, 2-3:30 PM PST (5-6:30 PM EST, 4-5:30 PM CST): We welcome back DR. JIM WERTZ of Microcosm, Inc. Our discussion will focus on Reinventing Space — Methods for Dramatically Reducing Space Mission Cost and Schedule, including a USC graduate course, the AIAA course in May, and a new joint Microcosm/USC Reinventing Space Project. 2. Tuesday, Feb. 12, 2013 7-8:30 PM PST (10-11:30 PM EST, 9-10:30 PM CST): We welcome DR. SEAN CASEY for <a href=”http://www.svsc.org/” target=”_d”>Silicon Valley Space Center</a> updates. 3. Friday, Feb. 15, 2013, 9:30-11 AM PST (11:30- 1 PM CST, 12:30PM-2:00 PM EST): No show today. WEBINAR 4. Sunday, Feb. 17, 2013, 1-3 PM PST (4-6 PM EST, 3-5 PM CST). We welcome back DR. HAYM BENAROYA for a webinar addressing the engineering needed for space infrastructure. Dr. Benaroya will take us behind the scenes to show and explain to us that which is not in plain sight! This webinar will be co-hosted by DR. JOHN JURIST. On the Saturday prior to this webinar, I will post Dr. Benraoya’s presentation material on The Space Show Blog, http://thespaceshow.wordpress.com. You can watch the webinar on The Space Show UStream site, www.ustream.tv/channel/the-space-show. Robert Alexander creates music inspired by the sounds and sights of the sun: Want To Create A Space Symphony? Wait For A Solar Storm – NPR. Michael Mealling discusses possible reasons making the organization so difficult to direct: The National Space Society: organizational inertia and term limits – Rocketforge. Spacevidcast devoted their latest live program to several recent space news items: Amazing space news from around the world – 6.04 – Spacevidcast. Go to AMSAT News for the latest headlines about developments in amateur and student satellites and for updates about amateur radio on the ISS. Here is an animation of the flyby of asteroid 2012 DA14. On February 15th, the 45 meter diameter asteroid will pass just 27,700 kilometers (17,200 mi) above the Earth’s surface. The simulation was made with NASA’s Eyes on the Solar System program by Adrian Wenz of BINARY SPACE. It shows the flyby from the viewpoint of the asteroid and includes the positions of a number of satellites.